A mysterious boy is the focus of a novel that takes us from the September Massacres of 1792 to the death of Robespierre four years later. 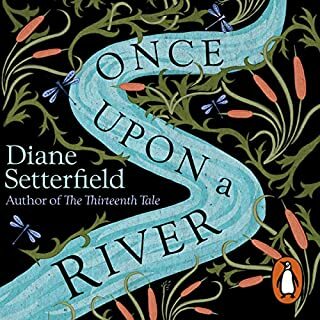 After rescuing Sido, the young daughter of an aristocrat, he flees to England, making secret journeys back to France to smuggle out refugees. 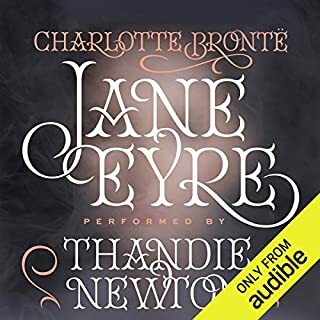 This brilliant story is definitely a highlight of my audible library and I have no doubt that I will listen to it time again! 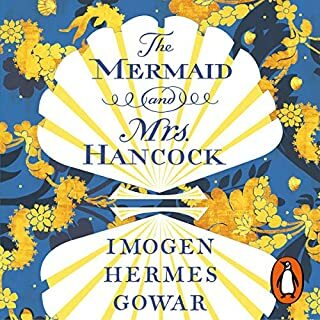 While I will admit that I bought this title purely because it was read by Tom Hiddleston and had no expectation as to the content, I found this book thoroughly enjoyable. The story is well written and the characters well developed. Hiddleston's reading was nothing short of superb, the way he slipped from narrator to character, giving each character a different voice and, in some cases accent, brought the book to life. I highly recommend this title. This book was sooooo boring! The narration was pretty awful too. Seriously don’t waste your time or money. Tom Hiddleston is amazing at creating unique voices for each character. I wish he did more audio books. i was totally captivated and at the same time haunted by the story thanks to the amazing narrative. the different accents were creepy and painted images of characters that wouldn't have been the same if it's read them on the page. enjoyed the experience and would read on if there is a sequel to this story. Beautifully written and incredibly well read. 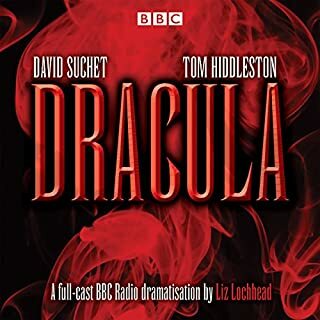 Hiddleston brings a unique voice to every character and pulls you into the narrative. 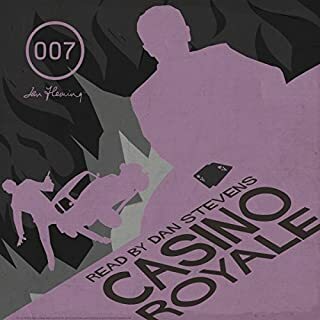 I listened to this coming and going from work, but unlike most audiobooks it took me almost four months. So here's the thing about this book - I did enjoy it. I did. But the pacing didn't particularly lend itself to pulling me forward through the narrative. I would listen to it for a half hour or so, and then decide to listen to some music or a different book for a while. It's not that I didn't want to know what happened, it's that I felt no urgency about it. Obviously, the audio performance by Tom Hiddleston was lovely - with one very grating exception. The voice he chose to perform the dwarf with was so scratchy and annoying that a lot of dialog with that character would often be the impetus to swap out for music for a while. 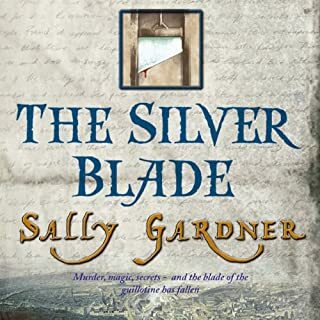 The story itself, which involves gypsy magic, revolutionary France, murder, secrets, betrayal, the theatre, and the plight of a young man and woman who might be fated for each other was well woven. I liked the setting, and it was obvious that Gardner did an excellent job with her research. All in all, I'm glad I read the Red Necklace. I liked where the tale ended enough that I'm not sure I need to keep going with the series, however. I might physically read the second book, rather than listening, however. ooo thats hard I fell in love with so many of the characters good and bad. That's a hard question. I cant really pick one as there where so many that were so moving and others that were genius and funny. The ones that moved me the most was Topolain's last stand, the bravery gave me shivers. Another one was Sido's scene when she pulled her self together and walked with her head high to face her judgement. Yes definitely. It took me 2 days to listen to it. I listened to it everywhere, even in the shower and fell asleep to it at night. I will most defiantly listen to it again. The performance was superb! I connected with all of the characters could not have imagined that it was read by only one person. I bought this book as an escape from my business and personal development books, and because Tom Hiddleston narrated it. I didn't know much about it, and had no expectations. What I got was a story filled with magic and mystery, and was pleasantly surprised when I realised Tom was playing all the characters as if he were in the theatre. The way he can manipulate his voice is impressive. This book kept my attention and I was entertained from start to finish. A fantastic plot, and a brilliant performance from Tom. I'm really looking forward to seeing how this book is adapted to the big screen now. Thank you Sally for your imagination, and to Tom for your devotion to bringing the audiobook to life. It was truly enjoyable, I became addicted to lessoning to it. I think for a first audio book, I picked the right one. Overall, the book would be a great read for a younger audience or an audience who knows little about the French Revolution. As someone who has done their homework on the subject I did find several inaccuracies but that wasn't enough to ruin it for me because the devil was only in the details. Unfortunately, there are way too many British common phrases and expressions used by the characters which periodically pulls me out of the French setting. I know that some would argue that it is the dramatization which may do that but I am not bothered by Tom Hiddleston's impressive array of accents. I am used to watching many shows set in France played by British actors with British accents and take no issue with them. The dramatization was wonderful and engaging, albeit the voice of the dwarf does sound like Dobby the House Elf from the "Harry Potter" movies. The story is wonderful, and read with amazing character voices by Tom Hiddleston. Looking forward to reading more of Sally's books, and hearing more of Tom's narrations. I never listen to abridgements on principal. 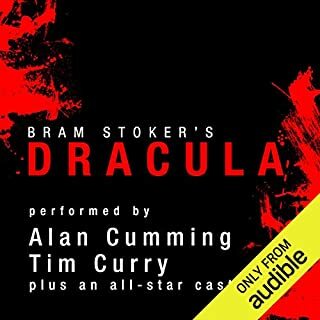 When I listened to this I didn't realise it was abridged. It was only when I noticed "The Red Necklace" listed as a new addition and for 2 credits that I realised what I had done. I may have to revise by "rule" regarding abridgements. This is an astounding, historical fiction novel written primarily for the Young adult market. Don't let that put you off. You will love this tale of adventure , suspense, magic and friendship. I bought it because my son (9) is interested in the time period and there is a dearth of material on this subject for children. Because of the subject matter I previewed it and decided very quickly that it was a little mature for a 9 year old boy, but much to my son's annoyance I did not stop listening. This is one of the best audio download decisions I have made. 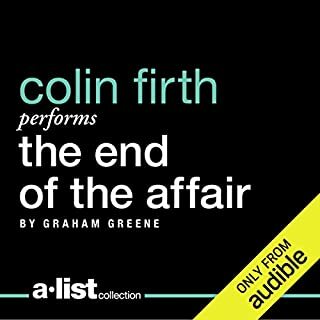 I have not heard the narrator of the full unabridged 2 CREDIT version, so I can't compare but Tom Hiddleston does a brilliant job with this book. I just cant imagine anyone performing this story better than he did. I am going to listen to it again very soon. I very rarely do that. Definitely credit worthy. This is not a good book. But if you, too, are ovulating and would like to hear Tom Hiddleston talk nonsense for hours, then welcome to your destiny. This is wonderful!! 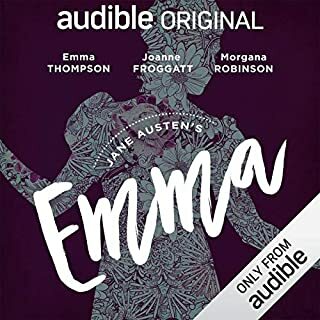 I'll be honest I bought this purely based upon the fact that the audio version is read by the delectable Tom Hiddleston and boy does he make it entertaining! His wonderful and varied accents breathe such life into the characters. 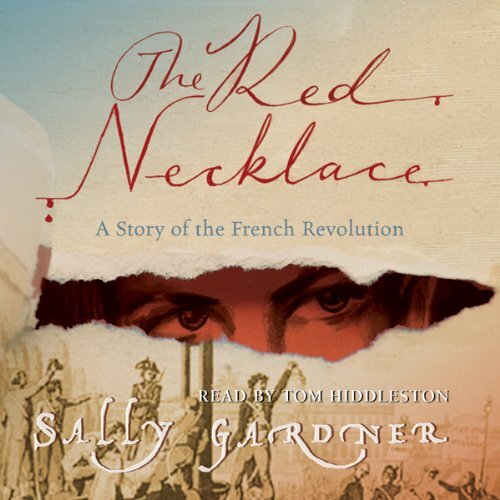 The story itself is beautifully written, not knowing a great deal about the French revolution myself, Sally Gardner lets you almost taste history with her wonderful descriptions and colourful cast of characters. I have such fondness for Yann and Sido and their respective path in and out of each other’s lives. Tetu is the kind of guardian you could almost wish for and both the marquis and dastardly Kalliovski are interesting and scary in different ways. I really enjoyed this book, it was well written and kept me in suspense but the credit is largly down to Mr Hidleston's voice. I was hooked from the moment he read the title and like the reviewer before said it is a shame there is not more on her read by him. 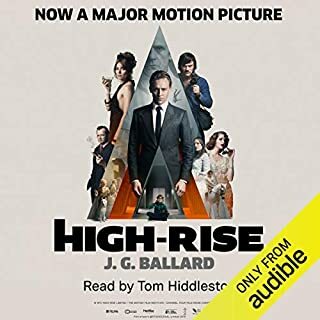 Tom Hiddleston has the most wonderful voice for audio (and the talent / looks for so many other things) - I long to hear he's recorded more than just this rather good tale of the Revolution. Much, much appreciated ..!! 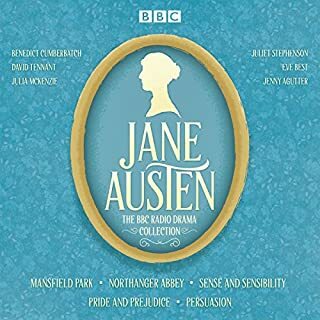 I have to confess that I bought this solely for the pleasure of Tom Hiddleston's dulcet tones alleviating the tedium of this years lambing. It took me a few attempts to get into and the magic is a little far fetched but I found myself hooked and wanting to know what happens in Book 2. In the hands of a less able narrator however, it would probably not have been so enjoyable. Mr H gets full marks. 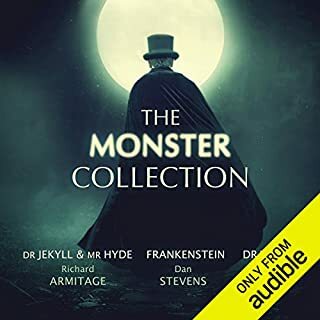 The story itself is very enjoyable, and the narrator enhances it tenfold.. Too many times I've started an audiobook and ended up abandoning it because the narrator couldn't carry the story, preferring instead to read it myself - not here. Tom does an incredible job of making each character sound distinct and unique by employing different accents, vocal pitches, varying speeds of speech etc. and generally exercising his full array of talents to bring the story alive.